Home Insurance | Beacon Insurance Agency Inc. When people shop for home insurance, they are actually seeking not just one type of coverage, but possibly several different varieties. Homeowners insurance, renters insurance, and condo insurance are all typically included within the category of home insurance. Whether you own the property that you live in or whether you are renting it short-term, you need to have insurance coverage to guard against disasters and losses. A homeowners policy is for people who own their own home. This may be either a house or a condominium. Essentially, if you are making payments on the home with ownership as the end goal, you will need homeowners insurance. This type of policy will cover both the outside of the home and all the contents of your home. It will cover the majority of disasters and will allow you to replace or rebuild the damaged property. If a thief breaks into your home and items are stolen, your insurance will help replace those items and pay for any damage in terms of vandalism created by the thief. You will want similar coverage for your lake house or vacation home. With a renter's policy, the coverage includes the inner contents of the home, apartment, or room that you are renting. This is coverage for break-ins, disasters, fires, and other circumstances that are beyond your control. Even though your landlord will have a homeowners policy on the place you are living, it does not cover your own personal items as a renter, which is why renters insurance is essential. Want more liability coverage? An umbrella policy is often added to a Homeowners and Auto Policy package giving you the maximum coverage at the most affordable packaged cost. If you also own an auto you will be eligible for the multi-policy discount. 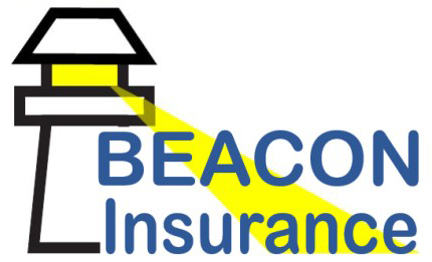 There are other discounts available depending on a number of factors your Beacon Insurance agent can review with you.